Category leaders after stage two. The Dubai Eye 103.8 2018/2019 UAE Road Cycling Championship continued with an Individual Time Trial in Dubai on Friday. Sanctioned by the UAE Cycling Federation, the championship is touted as ‘UAE’s Nationals’, crowning annual amateur Emirati and expatriate male and female cyclists, with this season’s edition raced over four stages; two climbing, one time trial and one flat stage. Oakley stage two saw cyclists compete in this specialised discipline over 21.6kilomotres on police-managed, closed roads of The Outlet Village Dubai Parks and Resorts. Taking the honours were Deirdre Casey for open expatriate female, Amer Al Dahmanithe won the social Emirati male, Khalid Mayouf claiming open Emirati male and Sam Stollery the open expatriate Male. Leaders of the championship after stage two are Casey, Yaser Al Balooshi (social Emirati male), Mayouf (Emirati clubs male) and Stollery. Ras Al Khaimah Tourism Authority’s stage three promises to be an exhilarating, grueling 50km attack on the formidable Jebel Jais, the UAE’s highest mountain, on Friday, November 9. The championship’s fourth and deciding stage will be raced on Friday, December 7, at Dubai Sports City’s 103.8km road race. Titles for the 2018/2019 UAE Road Cycling Championship’s four main categories will be decided via a points system, and follow the British Cycling Points System (NAT A Road Category). The cumulative-points leader of each main category will receive and wear the leader’s jersey, while stage winners and stage age-division winners will be recognised at each stage. Overall champions will take their ‘champion’s jersey’ and title through to the 2019/2020 championship, as well as receive a champion’s cheque. Stage two results, and registration for all cyclists in the remaining stages can be found via www.premieronline.com, with more information found on www.uaecycf.com. 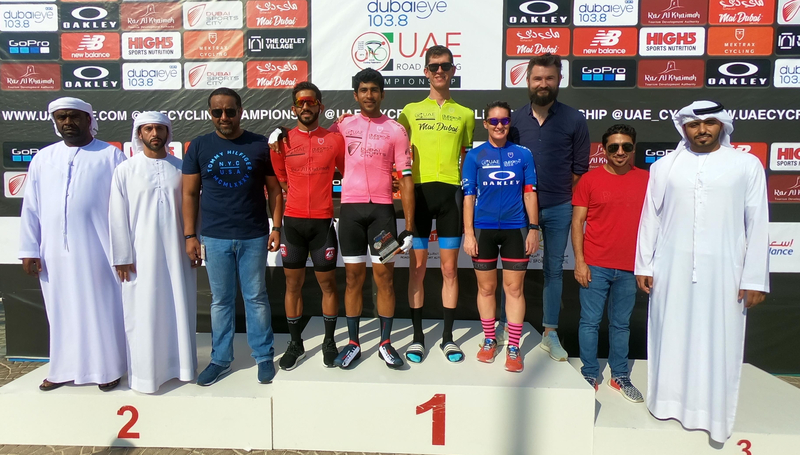 A group of lucky cyclists from Abu Dhabi Cycling Club were given the honour of riding alongside UAE Team Emirates’ stars this weekend, as the team hosted a community ride at Al Hudayriat Island cycle track in the UAE capital. The Emirati formation joined youngsters and adults in an hour-long ride on Saturday evening to showcase the team’s commitment to the development of cycling in the UAE and highlight their partnership with Abu Dhabi Cycling Club. Riders taking part included UAE national champion Yousif Mirza, Norwegian national champion Vegard Stake Laengen, former Italian national champion and 2015 Vuelta a Espana winner Fabio Aru and 2018 Tour de France stage winners Alexander Kristoff and Dan Martin. Also on show were the team’s recent signings, Portuguese twins Ivo and Rui Oliveira, Colombian Sergio Henao and Belgian, Jasper Philipsen. 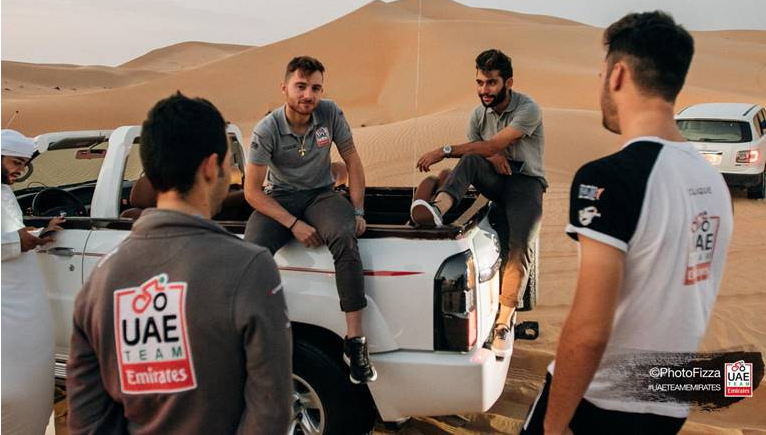 Following the ride, UAE Team Emirates took the opportunity to head into the desert and take in some of the UAE’s stunning scenery. The 2019 Tour de France will include a record 30 mountain passes and five summit finishes after organisers unveiled a route intended to encourage aggressive racing. That is something organisers want to end – to the extent that Prudhomme used the presentation to appeal to watching UCI president David Lappartient to ban power meters. With the goal of creating more exciting racing, organisers unveiled a route which features fewer hors categorie climbs – the most difficult of all – but more category two climbs which can encourage attacks. The Tour – which marks 100 years since the introduction of the yellow jersey to signify the overall leader – will begin in Brussels, paying tribute to all-time great Eddy Merckx on the 50th anniversary of the first of his five overall victories. The climbing begins in earnest on stage six to La Planche des Belles Filles. This was the scene of Froome’s stage victory in 2012 but next year there will be a further kilometre – including gradients of 20 per cent – added to the route to make it even harder. From there, the riders will head south west across France towards the Pyrenees, where there will be a time trial around Pau, a summit finish on the famed Tourmalet, and a stage which goes over the imposing Mur de Peguere before finishing above Foix at Prat d’Albis. The final battles will be fought in the Alps. 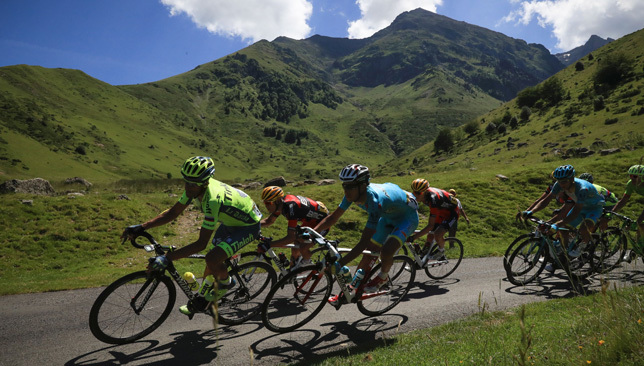 A brutal stage 18 will take riders over the Col de Vars, the Col d’Izoard and the Galibier within the space of 207km. A day later, the 123km stage 19 includes the Col d’Iseran, the highest paved road in Europe at 2,770m. Though the mountains took the headlines, 30-time stage winner Mark Cavendish – aiming to match Merckx’s all-time record of 34 – was on hand to hear about a route which includes seven flat stages where sprinters might prosper. Organisers also announced details of La Course, the women’s race which takes place during the Tour. This year’s race will be a one-day event, covering five laps of the time trial course around Pau for a total distance of 120km. The route includes the Cote d’Esquillot, which could prove the springboard for a race-winning attack.